Dubai is known for it’s over the top extremities. Architecture, shopping, dining, waterparks and adrenalin pulsing entertainment. There is so much to do in Dubai. If you have been to Las Vegas (Nevada) this makes Las Vegas look like a McDonalds PlayPlace (room). There are so many things to do in Dubai. 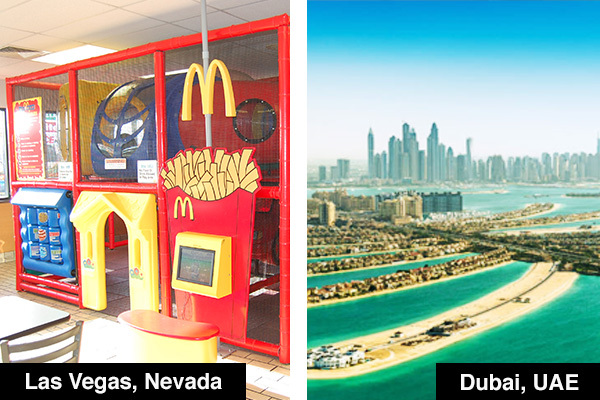 Let’s take a look at the things you can do in Dubai. Also known as ‘The Sail’, it repeatedly voted the world’s most luxurious hotel. The hotel is located on it’s own man made island, overlooking the sea. A spectacular piece of architecture, the shape of the structure is designed to mimic the sail of a ship. Construction started in 1994 and was opened in 1999. 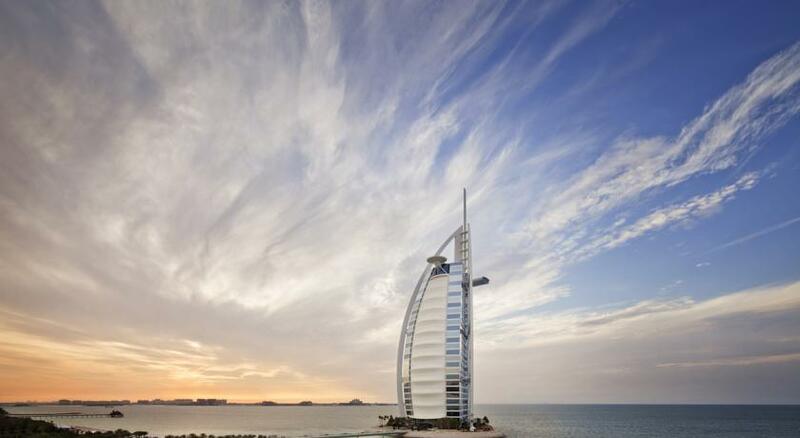 Burj Al Arab is even equipped with a helipad as some guests request helicopter transfers right from the hotel. The helipad is 210m (689 ft) above ground and this helipad has attracted media attention from numerous celebrities. 2004: Tiger Woods teeing off, 2005: Andres Agassi and Roger Federer playing tennis. The Sail is a site to dine in front of (Jumeirah Beach Hotel, restaurants in the hotel), or to dine at the hotel itself. Another idea for visiting the hotel is for their Afternoon / High tea timing . Reservations are required for High Tea, so be sure to plan this in advance because reservations can be tough to come by. If’ you’re planning to stay at the hotel, guests may arrive at the property by either chauffeur-driven Rolls-Royce’s or alternatively by a dedicated helicopter transfer service. A nights stay (week night) at the Burj Al Arab can run you a tab of $2,000 USD per night. It’s a stunning hotel, but If you’re planning to stay at the Burj Al Arab, you can check your dates and rates here. The tallest structure in the world (as of 2016). 829.8m OR 2,722ft. It’s a spectacular structure. Construction started in 2004 and the building was open in 2010.The building was named in honour of the ruler of Abu Dhabi and president of the United Arab Emirates, Khalifa bin Zayed Al Nahyan; Abu Dhabi and the UAE government lent Dubai money to pay its debts. The building broke numerous height records, including its designation as the tallest tower in the world. It consists of 163 floors of Corporate suites, Residential, the Armani Hotel, Sky lobbies, Restaurants and an observation deck. 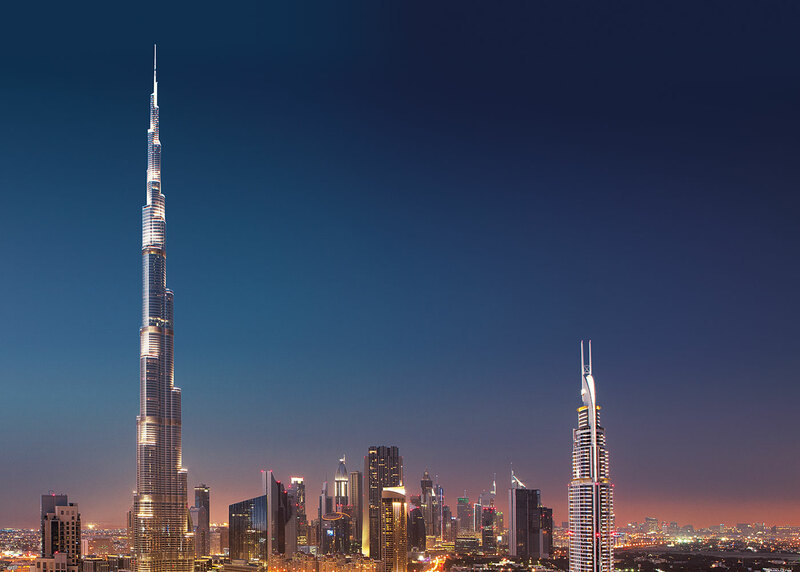 You can check your dates and rates here for the Armani Hotel in the Burj Khalifa. Atlantis Aquaventure Waterpark (Atlantis Hotel, On The Palm). 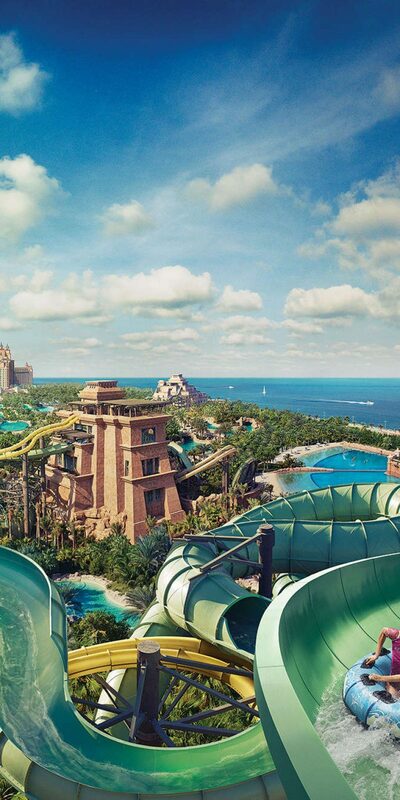 If you like waterparks, this is the waterpark of all waterparks. This waterpark is not just for kids. It’s offers the Leap of Faith water slide which drops 60m (200ft) down an 84° incline and through a tunnel beneath the aquarium’s shark lagoon. Another great slide in the waterpark is the Aquaconda. With a small group of people you’ll be placed in a giant tube where you will all be seated. You’ll be taken for a wild ride through a dark and twisting tunnel. Once out of the tunnel, you’ll be dropped into the largest fibre glass tube in the world. This too is a thrilling ride. 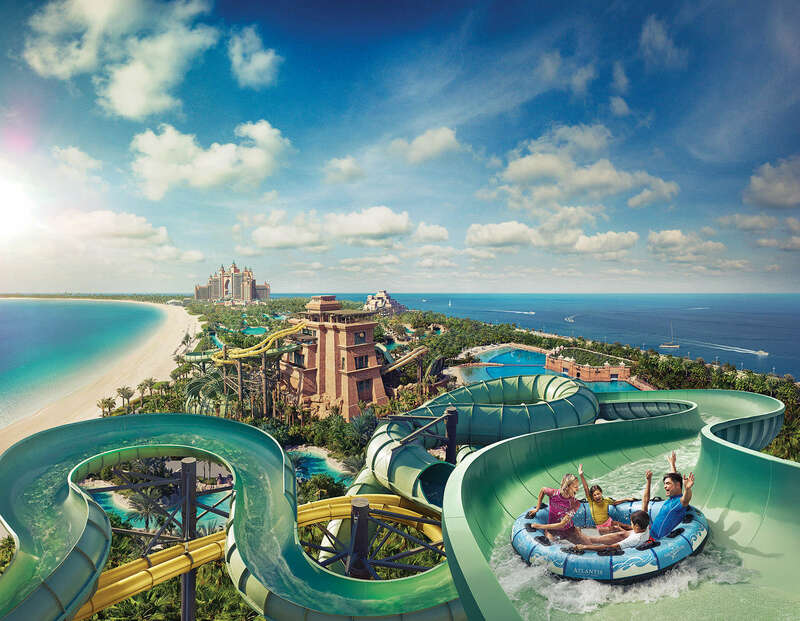 You can either stay at the hotel (check your rates and dates here) or, visit the hotel and purchase tickets to the Atlantis Aquaventure Waterpark. Horse racing happens at the Meydan Grandstand. This grandstand is the longest single structure in the world. It reaches over a mile in length, and can accommodate over 60,00 spectators. The horse racing season in Dubai is from November to March – for obvious reasons of the heat in the other months. This I would recommend doing first excursion first if possible. Its an elaborate window into the Bedouin culture in Dubai. Bedouins were the earliest inhibitors of the dessert in Dubai. They are an Arab semi-nomadic ethnic group, descended from the nomads who have historically inhabited the Arabic and Syrian desserts. Bedouin means “desert dwellers” in the Arabic language. The Dessert BBQ is a wonderful Arabic experience. Live entertainment and delicious food, I had no complaints! It’s a desert feast to be remembered! Arabic styled tents, tables and cushioned seating, I truly felt as though I was a Bedouin in the desert. This was a very thrilling excursion. Nothing says desert like riding a dune buggy through the rolling dunes of Dubai. You have the option of riding alone or with a partner. Here’s what happens, everyone puts their helmets and goggles on (provided by the operator) and everyone follows the SUV through the desert. If you’re slower, position yourself at the back of the pack and try to keep up. Bring on the sand! Do what!?? I can hear my southern friends now….. Do what!?? Yes. Indoor Skiing and Snowboarding all in a shopping mall! Regardless of the temperature outside, you can be skiing inside…. in the middle of the desert!! This ‘ski tunnel’ is climate-controlled and makes it’s own snow. 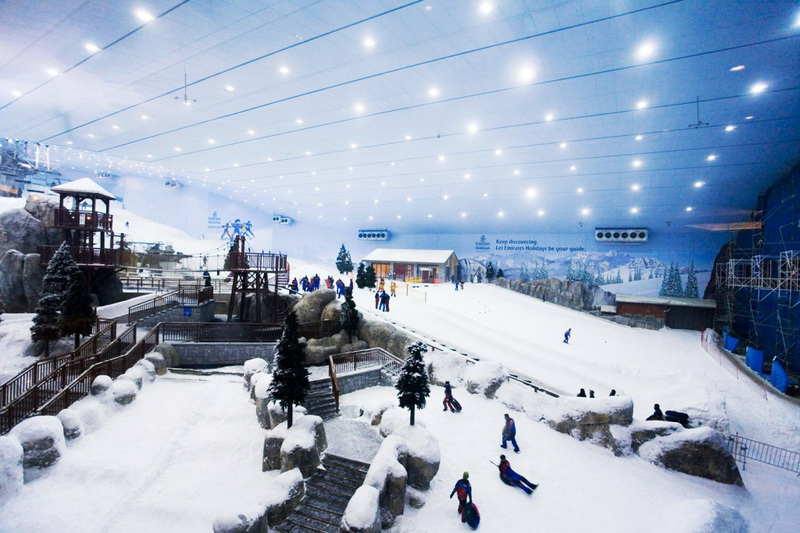 Ski Dubai is an indoor ski resort in the Mall of the Emirates with 5 slopes of varying steepness and difficulty, including a 400-metre-long run, the world’s first indoor black diamond run, and various features (boxes, rails, kickers) that are changed on a regular basis. A quad lift and a tow lift carry skiers and snowboarders up the mountain. The facility’s temperature is -1 °C (30 °F) during the day and −6 °C (21 °F) at night when the snow is produced. There is other winter activities other than skiing and snowboarding. So be sure to check out this attraction! No reservation required for skiing, but reservation required for visiting the Penguins. The best dinner cruise in Dubai. There are others, but I found this one to be the best. The food was heavenly! Explore the waterways of the Dubai creek while enjoying views from your table. The vessel is air conditioned and is available seven days a week. Boarding starts at 7:45pm and departs at 8:30pm (until 11pm). How about a little adrenaline? Your very own race car. 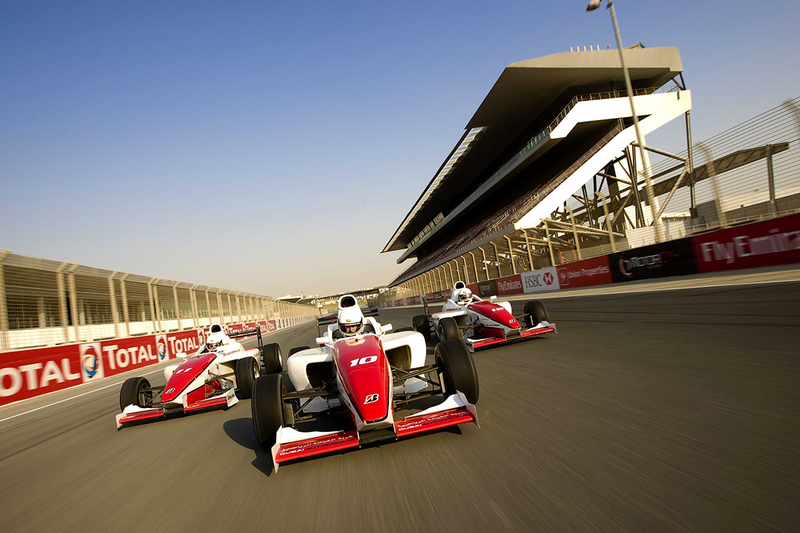 Have you ever wanted to try a driving experience that you’ll never forget? 20 minutes around the 1.2km oval circuit. Give it a try! Be sure to book in advance, because this tends to book fast in cooler weather. Weather your looking to leap alone or leap with an instructor, this is a one of a kind experience. 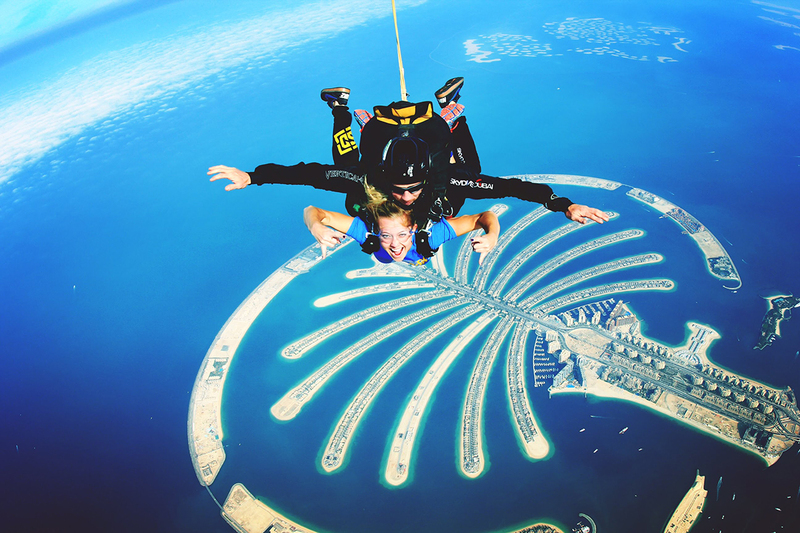 Freefalling over the magnificent palm and beach line, this experience is one you’ll never forget. Be sure to look into this option well in advance, especially if you’re looking for a Tandem jump. Here is the YouTube link for Skydive Dubai. A fountain performance like no other. 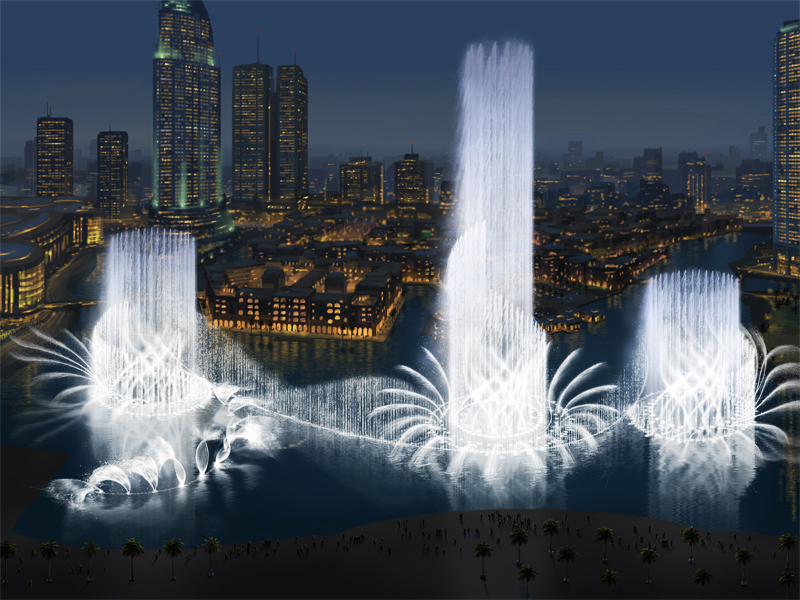 The choreographed fountain system is set on 30-acre manmade Burj Khalifa Lake, at the center for the Downtown Dubai. There are a few options to view the fountain. First option is accessing the fountain through the Dubai Mall. From inside the mall, look for signs directing you to the fountain. Head outside for the show. Another option is, from when you’re outside, you can find a stand that will take you on a tour in the lake while the performance is taking place. This option allows you to be very close to the fountain. You can often hire the boat without reservations. Another option to viewing the fountains is having dinner in front of them. Bice is an award winning Italian and Seafood restaurant. I would suggest making reservations for the terrace. To get to Bice, head to the Dubai Mall, exit out the fountain exit/entrance, walk across the bridge, and head into the souk building. Take the escalator up to the second floor to Bice. The fountains are a spectacular piece in Dubai. Shopping in Dubai – Excellent Stores! There are so many malls in Dubai. 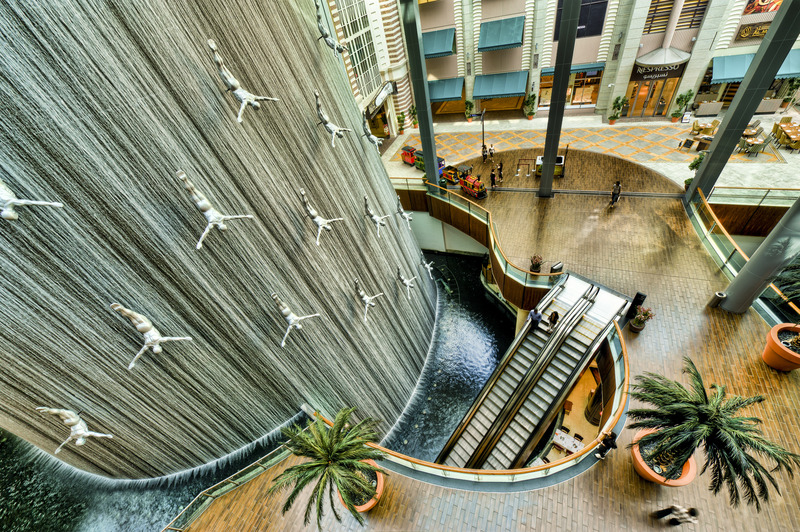 Here is a short breakdown of the malls in Dubai. Dubai Mall is the World’s Largest shopping mall (by total area). Anything you’re looking for, you’ll find it here. Here is a link to the stores you’ll find in the Dubai Mall. The mall is complete with a luxury hotel, cinemas, restaurants, food courts, Dubai Aquarium, ice rink and theme park. This is the Mall with the indoor Ski Hill. 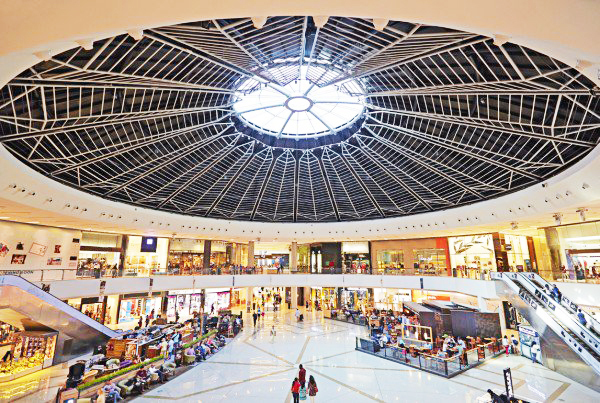 This mall is older than the Dubai Mall, but it is still worth checking out. They too have restaurants and food courts. Here is a link to the store directory in the Mall of the Emirates. This mall is located in the Marina of Dubai. They have a few high end stores and also have a cinema. Dubai Marina Mall store directory – right here. Meh. I wasn’t impressed with the deals at this mall. I didn’t feel like it was an outlet mall. 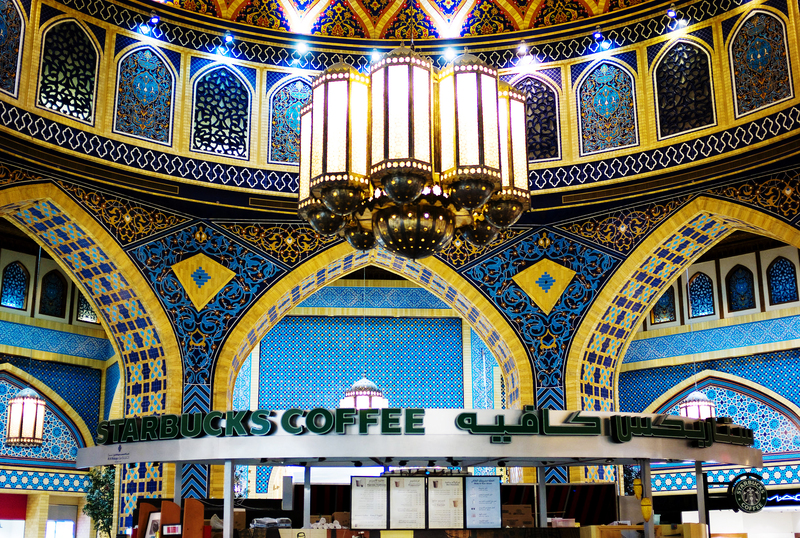 I would recommend the Ibn Battuta Mall over this mall. But still, in the event you’re planning to tour the malls of Dubai, I wanted to list it. 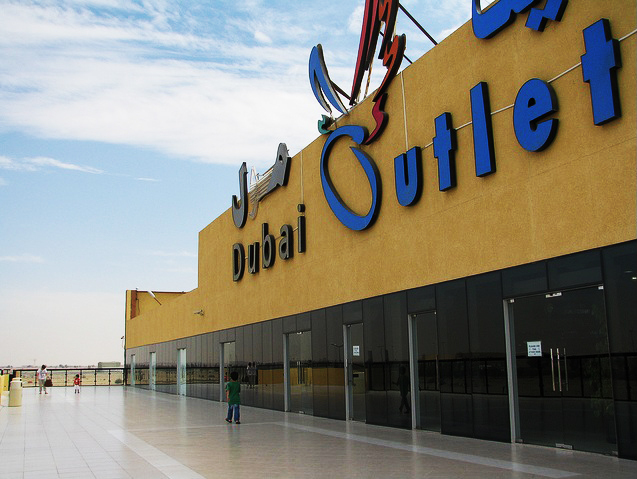 Here is a store list of the shops in the Dubai Outlet Mall. Brunch is actually quite popular in the middle east. Brunches are often hosted at hotels on Friday and Saturdays (12:30p – 3:30p). Typically, the hotel will offer two packages for brunch. One being the “soft package” the other being the “beverage package”. Best advice: find a good quality hotel or high end hotel and inquire about their brunch packages. Often brunch is all types of foods, your taste buds will not regret it! I had the pleasure of enjoying a fabulous brunch at the Mazina (The Address Hotel Dubai Marina). Be sure to make a reservation before arriving. Just in case! Flywheel – Best Spin Class Ever! 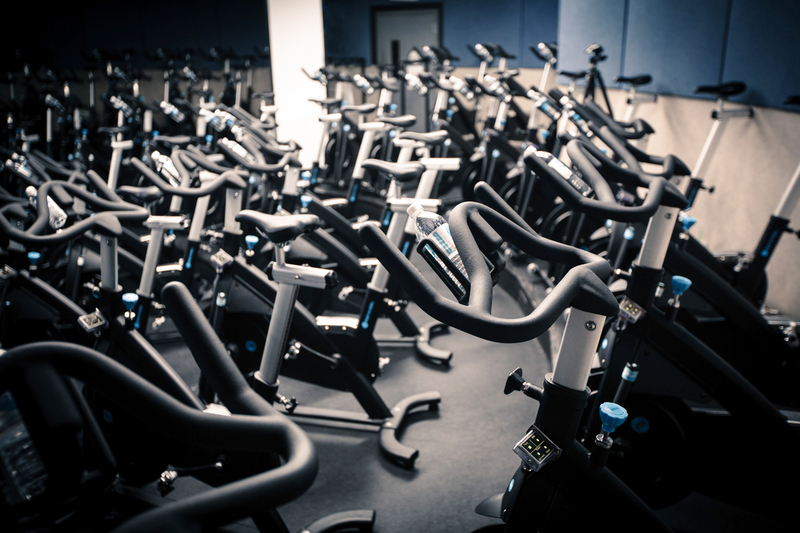 If you happen to be into fitness and love spin classes, this is the place for you! Or perhaps you’re looking to burn some major calories before you hit that endless brunch?? Now we’re thinking! This spin class has what’s called a ‘Torqboard,” which allows you to compete with other spinners in your class. Or not- you do have the option to opt out of the Torqboard. But it’s stadium style bikes and once the class is under way, it’s dark like a nightclub. Pumping track to keep you motivated through the 40 minute workout. Classes take place mornings and evenings and on the odd afternoon. I have enjoyed several classes at the Gold & Diamond Park location. Highly recommended if you’re like me and enjoy a great workout!